Learn Social Dancing started out as an endeavour to help people understand the concepts and roots of the social dance forms that come from Latin America. Salsa, Bachata, Merengue, Cha Cha were all dance forms used to create a community feeling and spreading joy through music. We have grown to over 1000 students over the last 2 years and are growing in numbers weekly. Over 5000 people now dance, learn and perform Afro Latin styles in Mumbai now. People are catch the Social Dancing fever and are increasingly understanding the International standards of the dance forms. Over the past 10 years, performers, teachers and social dancers have visited our shores and danced with our peers and made this a global connection platform. We want to ensure that when we travel as Indians to other countries to dance with our salsa friends we are fully equipped and ready to push our dancing to the next level. The LSD experience is meant to prepare you to be able to dance anywhere in the world and LOOK GREAT while good doing it! It's like getting your college degree before going out into the real world and getting on-ground experience. 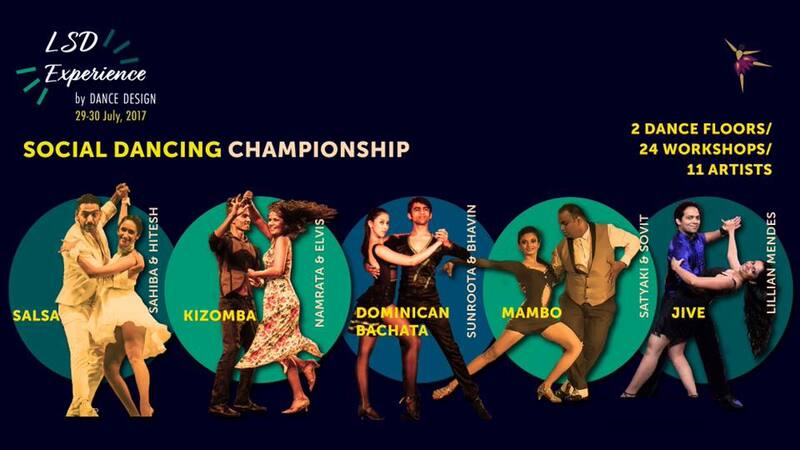 Here you have a chance to learn from trainers that have spent years mastering their art in the finer nuances of Salsa On1, Mambo, Dominican Bachata, Kizomba and Jive. These teachers have walked with the giants on the big stages of the dance world, they have trained with the inventors of your dancing techniques and spent countless hours dancing with the best international social dancers. This is an opportunity to use their know-how to educate yourself and be the best social dancer you can be. Are you ready to push your social dancing capabilities ?